Molds are small elements of moist organic matter formed by several types of fungi. Mold spores can be found lying dormant on almost every surface in a home or building. When mold spores position themselves on a surface with appropriate moisture content, nutrients, and temperature, spores will sprout and mold will grow. 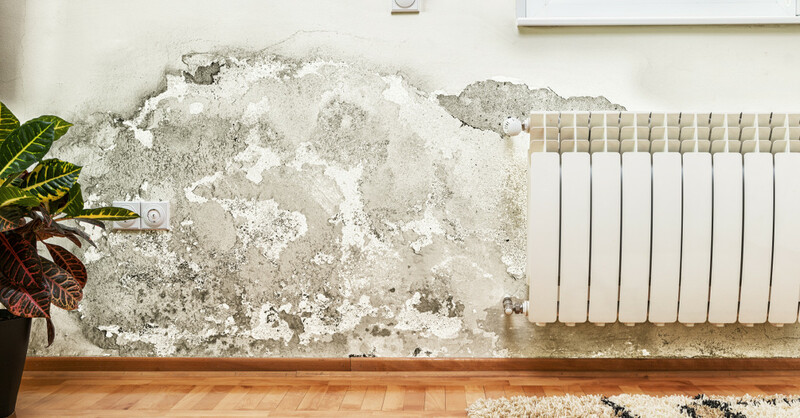 Once established indoors, mold can spread creating many health issues and destroying building structures. Mold allergens and toxins can cause health problems for some people. The most susceptible to the health hazards presented by mold are children, elderly people and those with suppressed immune systems. Any person however might be affected or become sensitive to mold at any time. Our trained mold technicians at Certified Carpet Management/Water Emergency Technologies take mold remediation very serious. We understand how important your health and the health of your family is to you. Mold remediation is a specialized process that involves several steps in order to be performed properly, professionally and safely. The first step to dealing with mold is a mold Inspection. A mold inspection consists of a visual assessment of a property and the main areas containing visual mold. The purpose of a mold inspection is to locate mold infestations, determine the cause, and provide useful information to help facilitate an effective remediation plan. Because mold is not always visible, mold testing by an industrial Hygienists (IH) may be necessary in order to identify mold presence. Industrial Hygienists specialize in conducting indoor air quality investigations. Mold testing can confirm or exclude the probability of indoor mold growth, the types of molds present on surfaces and in the air, and the areas in the building that have abnormal mold levels. Identification and quantification is useful data in determining the magnitude of the damage, and the proper remediation procedures. Once mold contamination is determined, through a mold inspection, or mold testing, it is imperative that the damage is address immediately. Remember, the quicker you address the problem the less extensive the damage will be. Call us today (908-273-8901) for a mold inspection! We can get your home or building back to healthy levels.